Gathering diverse views about cannabis retail stores has been at the top of the city’s agenda for the better part of the past three months. 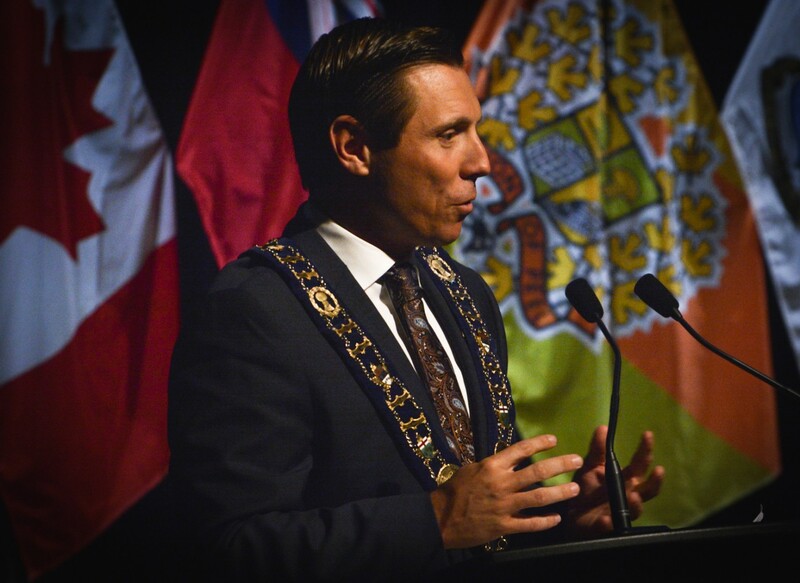 Now, Mayor Patrick Brown is looking to one more source ahead of the crucial Jan. 21 vote on permitting them in Brampton. 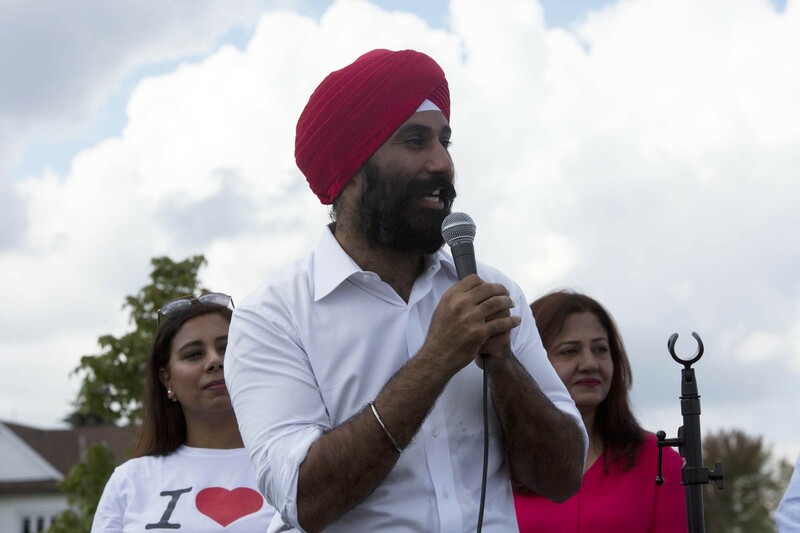 In a letter sent to all of Brampton’s MPs, Brown asks them to weigh in on the debate and whether the city should opt-in to the provincial model, allowing retail shops within the city starting April 1. Brown expressed a hope to receive written comments from the federal politicians by the end of the workday Friday. A final decision is to be made by council during a special meeting on Jan. 21. “For the public record, we will be highlighting which elected officials provided their position and those who have not at the meeting. Given the attention this issue has garnered, we also invite you to attend this Special Council meeting. Please let me know if you are available to attend. Thank you for your attention to this important issue being debated on Monday evening at the Brampton City Council meeting,” the letter concludes. 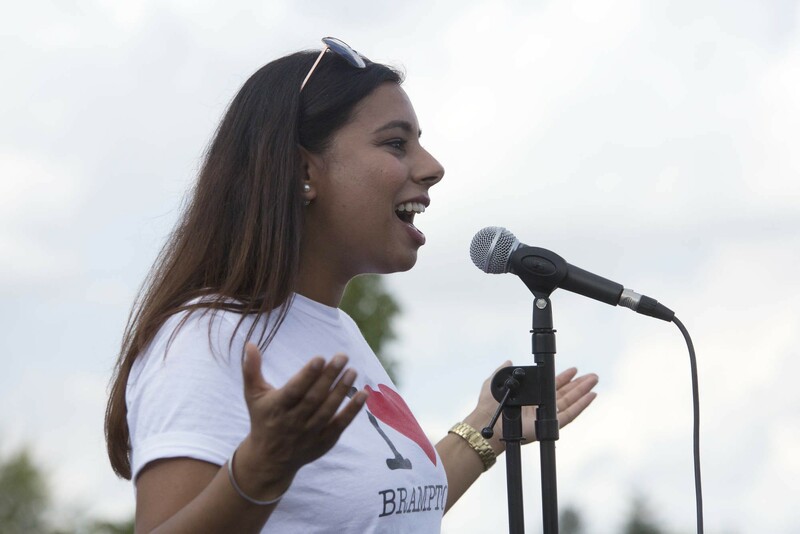 A recent town hall meeting hosted by the City of Brampton at City Hall shone a spotlight on the wide divide that still exists across the community on this subject. The discussion echoed the results of a survey commissioned by the city in December, showing a fairly even split down the middle between those for and against the shops. The Environics survey of 910 residents that showed 54 percent of respondents sampled said they “strongly” or “somewhat” supported pot shops in Brampton, while 40 percent “strongly” or “somewhat” opposed them. Only 6 percent of survey respondents were undecided. The results of that survey bolstered an early staff recommendation to opt-in and allow the shops, but council ignored that recommendation in favour of further consultation with the community. 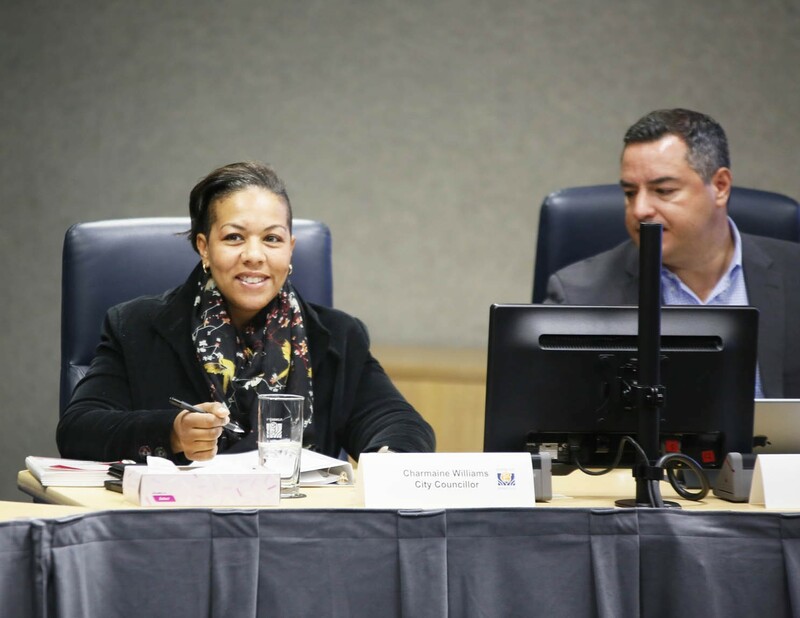 Council’s final decision will come just one day ahead of the province’s Jan. 22 deadline, and there is a lot for councillors to consider. On the surface, many in the opt-in camp point to the tax revenue the city stands to gain by allowing retail stores. Some $15 million is scheduled to start flowing this month from the provincial government, to be split among all municipalities in Ontario to help them deal with the initial impacts of cannabis legalization. Following that, an additional $15 million will be split among municipalities that choose to opt-in to the provincial retail model. 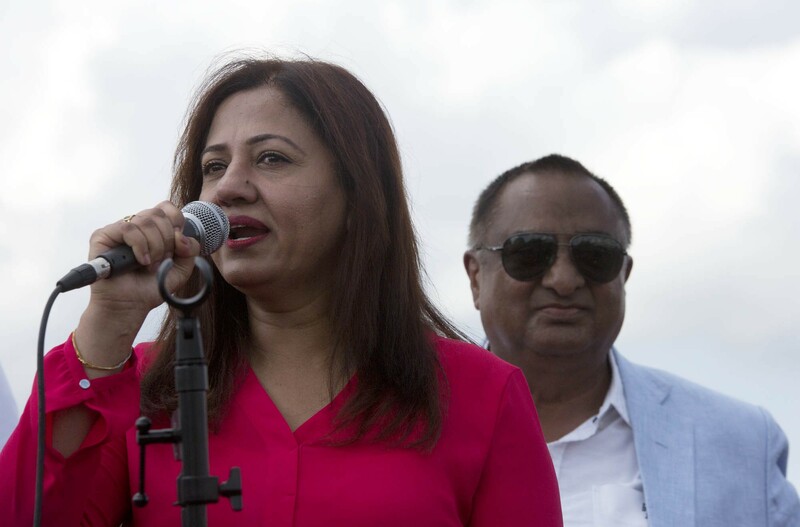 The funding has consistently been a sticking point for Brown, who reiterated his campaign mantra that the relatively small amount dedicated to helping municipalities deal with cannabis was another instance of Brampton not getting its fair share. An initial analysis by the Federation of Canadian Municipalities in 2017 found that, per 500,000 population, municipalities could expect extra administration costs stemming from cannabis legalization in the range of $750,000 to $1.5 million. The spectre of rising crime was raised at several points during the meeting in the City Hall Conservatory. Both sides of the debate seized on the potential impact of retail stores on the criminal element, with opinions split on whether these stores would help reduce black-market drug dealing or simply offer an easier avenue for youth to obtain the drug. Those advocating for legal, well-regulated stores suggested they would eliminate black-market dealers and help keep the drug out of young hands. Many councillors have yet to take a public stance on the issue. One who has is Charmaine Williams, who made it a campaign plank to fight the presence of these stores in Brampton. Most recently, she held a press event reminiscent of Donald Trump’s “build a wall” campaign, suggesting the GTA needs to defend itself against an influx of unwelcome cannabis retail stores. “Last week we learned that 17,000 individuals and companies applied to be included in the retail cannabis lottery held by the Alcohol and Gaming Commission of Ontario (AGCO). This is proof positive that Brampton and other cities are facing an invasion of marijuana stores once the province opens the floodgates and lifts the quota,” Williams said in a press release. On Jan. 11, the AGCO’s lottery for the initial 25 retail licenses created 25 lucky winners who will be allowed to open private retail cannabis shops in Ontario in 2019. Of the six licences being allotted to the GTA region (which includes Peel, Halton, Durham and York regions), one was awarded to CGS Foods Inc., owned by Brampton resident Clint Seukeran. Seukeran, who told the Toronto Star he has very little experience in the cannabis industry, will be turning to Mississauga-based Cannabis Compliance Inc. to help launch his business. Mississauga City Council has already voted to opt-out of the province’s retail model, closing its borders to cannabis retail stores, at least for now. The 25 stores to be opened starting in April will be spread widely across the province. Toronto has been allocated a maximum of five stores; the GTA region, which includes Peel, York, Durham and Halton, will get six. Two will open in the north region, seven in the west region, and five in the east.